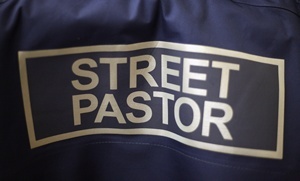 A number of members of Freshbrook Church are involved in the work of Street Pastors. As a church we are fully behind this very practical and caring work. Street Pastors is a ministry to those in the pubs and nightclubs of our town on Fridays and Saturdays, working to be a prayerful, listening and caring presence of Christians from local churches between 10pm and 4am. Taking church out onto the streets. There are Street Pastors in over 200 cities and towns around the UK and in other countries too. Thiswork has seen some remarkable results, including drops in crime in areas where teams have been working. Here in Swindon, we currently have over 30 trained volunteers and on most Friday and Saturday nights we have a team of 4 volunteers who go out to care for and listen/talk to the people we meet in the town centre.